Cut (6) 4" strips of each coordinating color. Cut (24) 4" strips of the main color. You may need to cut more strips of the main color, but we'll wait on that until later. 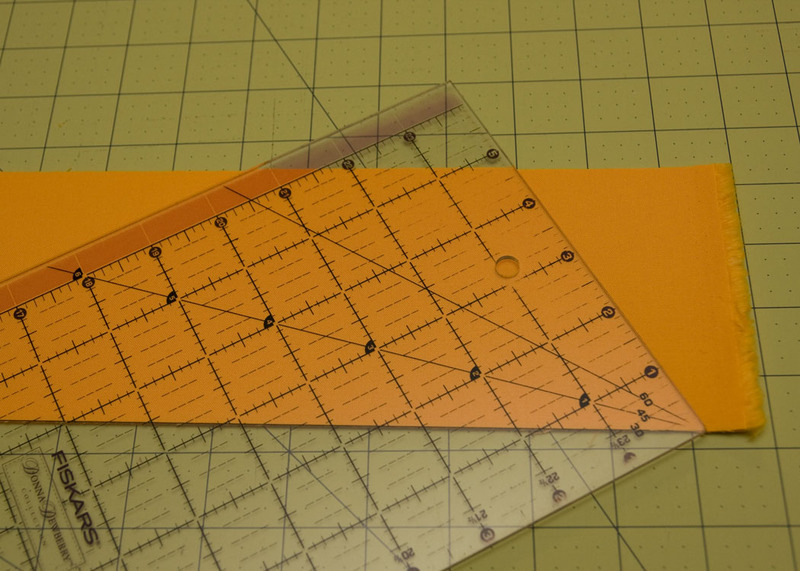 Cut one end of each strip at a 60 degree angle. 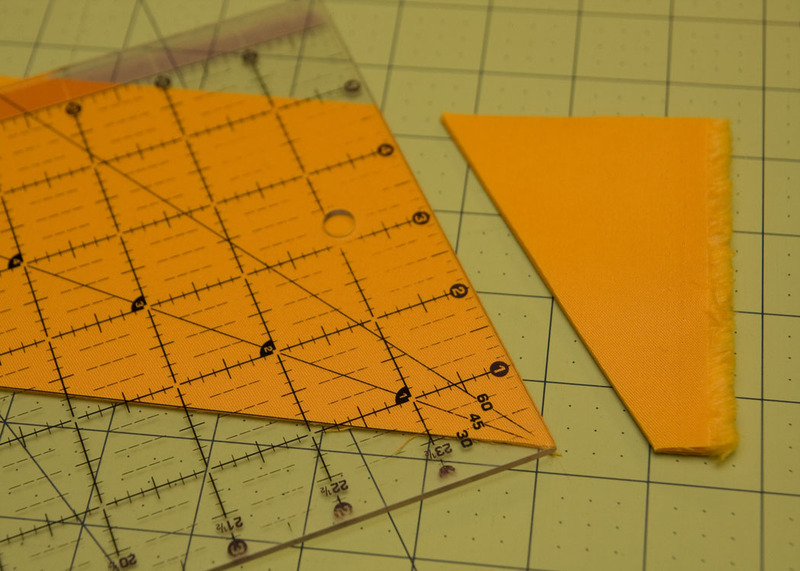 Aline your fabric with the 60 degree line or the 30 degree line on your ruler. 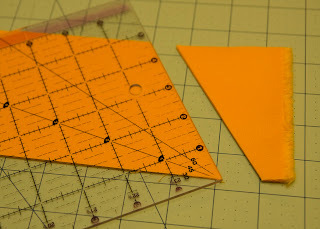 Depending on how your ruler is marked, the 30 degree line might be easier to use than the 60 as I did here. 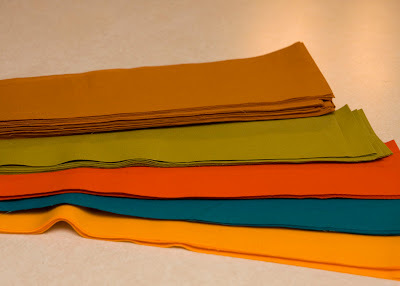 Just make sure you cut your fabric with the wider angle as show below. The first step in the sewing instructions will post later this week. Very Very tempting...can I cheat and use a jelly roll? I know my size will be different in the end. I've just had an AHA! 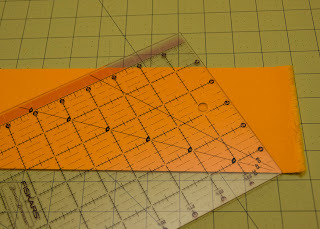 moment.....I had no idea how to use the angles on the quilting rulers. Thank you! I missed the fabric requirements for this QAL where are they? I am the mom to three busy little kiddos and the the wife to a fabulous husband who tolerates and even supports most of my crafty endeavors. 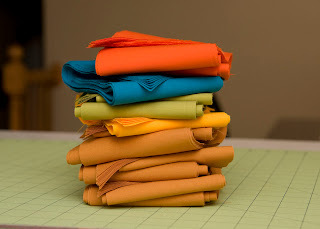 I love photography, sewing, and quilting. Many of my creations happen from the blue chair--one that I refurbished. It is among my favorite creations to date. Feel free to link to my site or specific posts, but please do not remove or republish any pictures or text from this site without permission. All text and images are my property unless otherwise noted. Thank you for respecting my hard work. Almost time for Sewing Summit! I receive financial or product compensation from my sponsors listed in my sponsor box in return for advertising space on my blog. I am also a Craftsy affiliate. Links to Craftsy include my affiliate information. I carefully select shops for advertising and choose shops based on both service and selection. Occasionally, I receive free products from vendors to test and review. I try very hard to write my reviews in a way to reflect my true opinion.